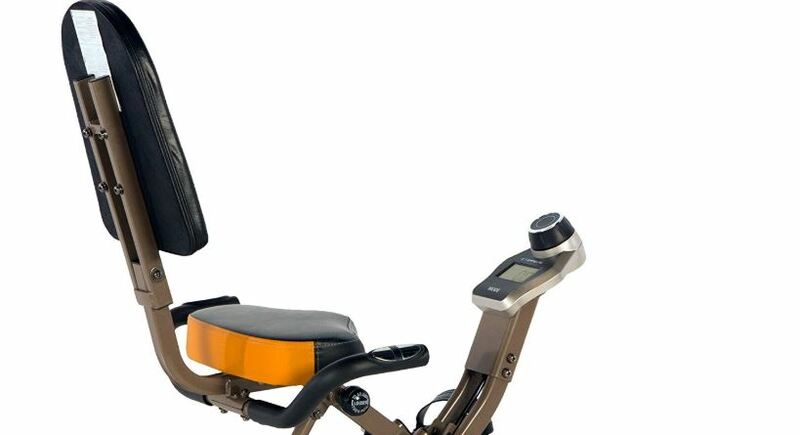 Who said that recumbent bikes take a lot of space should have a look at Exerpeutic GOLD 525XLR. It is nearly a traditional recumbent that has the folding ability. However, it still has a high weight-capacity that is suitable for all kinds of users. With Exerpeutic GOLD 525XLR you exercise and relax yourself hour after hour without disturbing others since its operation is smooth, stable and silent. After workouts, you can easily fold it up and store it somewhere convenient. It’s a wonderful bike that I’m going to review today. 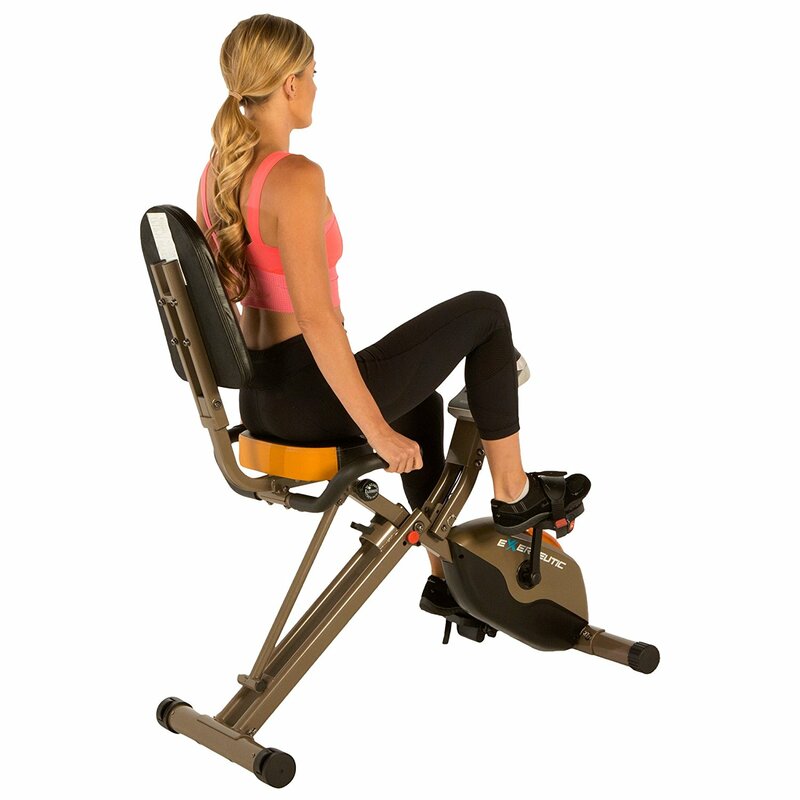 Exerpeutic GOLD 525XLR is folding recumbent exercise bike. Basically, this is a recumbent bike with the ability of folding. Therefore, this bike is really space-saving that can be stored in a cabinet when not in use. 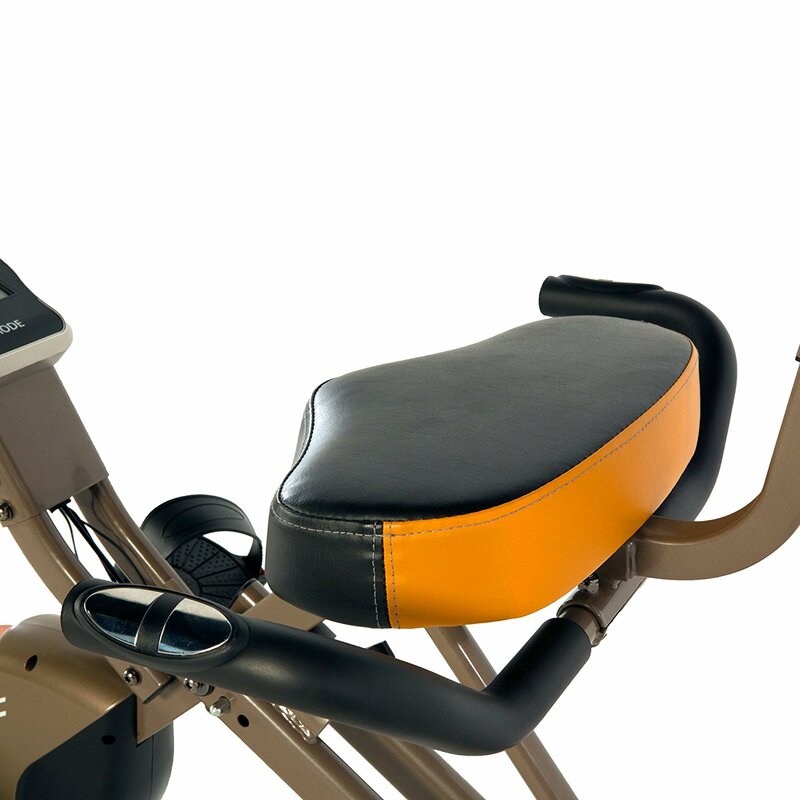 Aside from the foldability, Exerpeutic GOLD 525XLR functions as a traditional recumbent exercise bike. 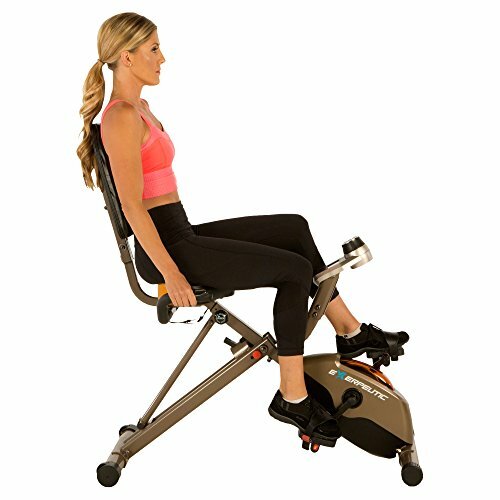 A recumbent bike is designed for maximizing comfort, blood flow, cardiovascular and lower body workouts. The bike is like a comfortable chair with pedals in front of the seat, which makes it easy on your joints and back. So, the bike is great for those who are injured and in physical rehabilitation treatment. Also, the bike is great for those who want to maintain a healthy lifestyle. 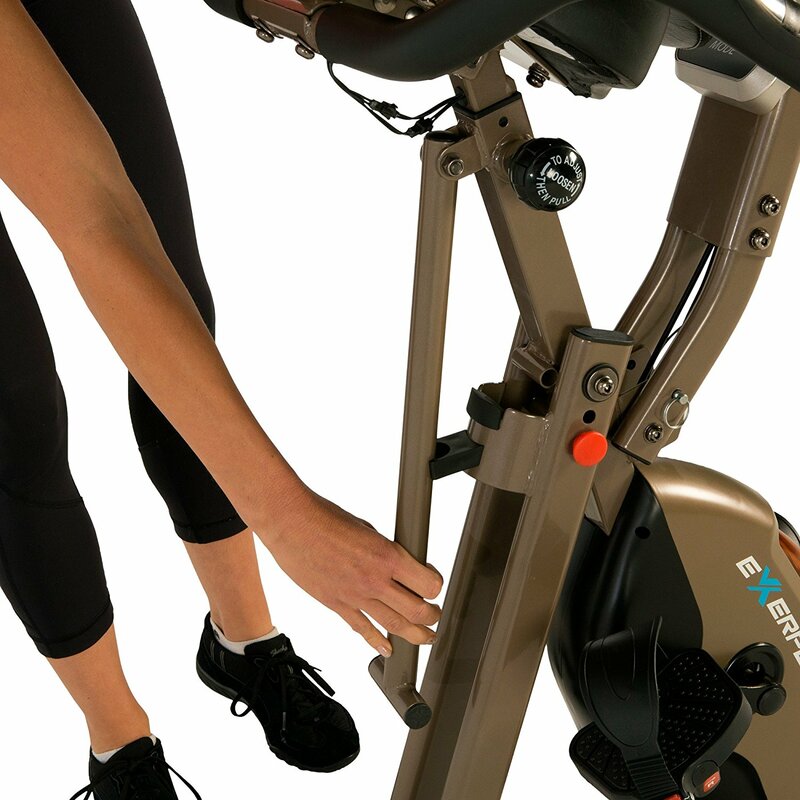 – Exerpeutic GOLD 525XLR is smaller and lighter than many recumbent bikes on the market with the dimensions of 48.5H x 24W x 46L inches (123.2H x 61W x 116.8L centimetres) and the weight of 54.7 lbs (24.8 kilograms) – not so compact, but it’ll fit small rooms and apartments. When folded up, its dimensions are 27L x 18W x 48H (68.6L x 45.7W x 121.9H centimetres) – saves a lot more space that let you store it in the room corner or in a cabinet. – The bike construction is strong that can carry up to 400 lbs (181.4 kgs). And the bike is suitable for those from 5’2″ to 6’5″ tall. 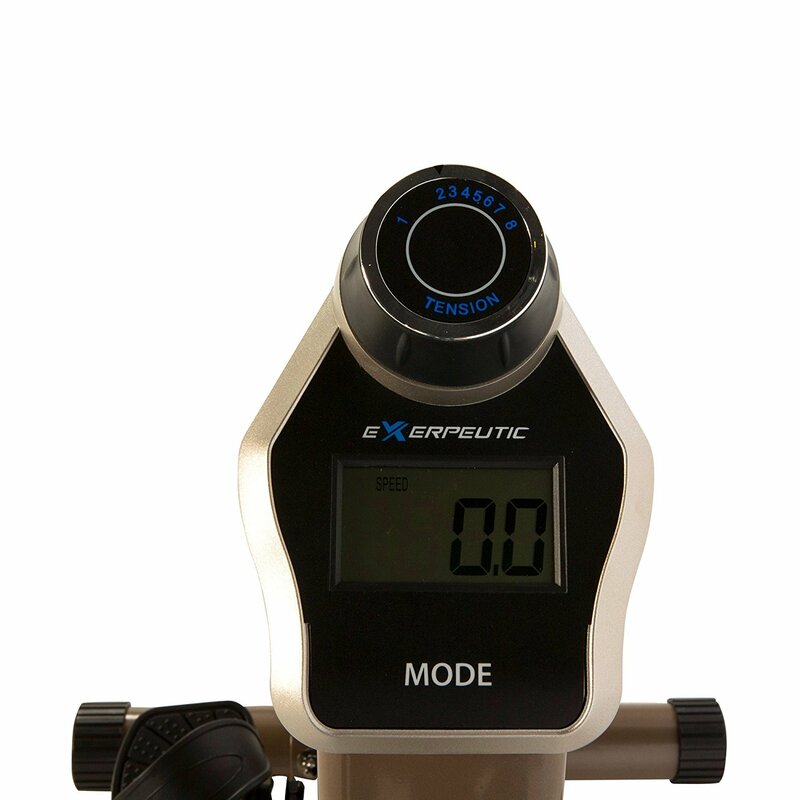 So, if you are a heavyweight that is also tall, Exerpeutic GOLD 525XLR will serve you well. – Exerpeutic GOLD 525XLR lacks interesting pre-installed workout programs. And the console is pretty simple that does not give you many functions. Using heavy duty and high durability steel frame, Exerpeutic GOLD 525XLR is really sturdy and will stay firm and stable when you are pedalling. 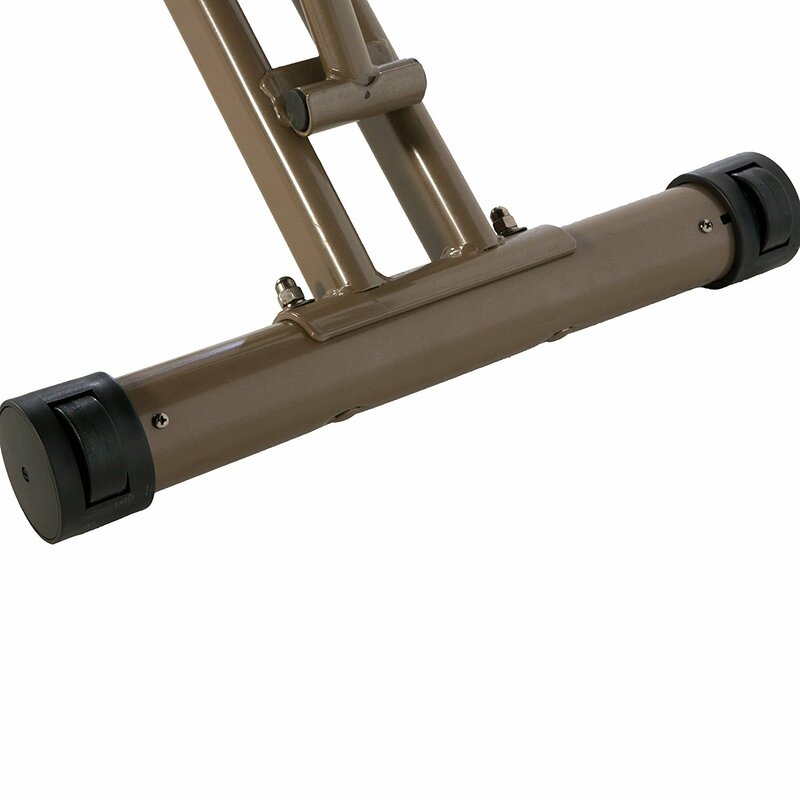 The frame is powder coated in brown, which makes the bike look nice and long-lasting. Basically, the bike is made of three main tubes connected to each other by screws as you see in the picture below. Besides that, there is a supporting tube for the seat, so that you can sit securely on the seat. And, there are two additional stabilizing tubes in the front and the rear. These bars are wrapped so that the bike won’t move while you are exercising. However, they don’t have levellers, thus, you need to stand it on a level ground. Under the rear bar, there are two transport wheels. These wheels allow for easy movement, giving you the versatility to move your workouts to the family room while watching the kids or the den while enjoying your favorite TV program. By leaning it back on its transport wheels, you will be handling less than 1/2 of the bike’s total assembled weight. The seat of Exerpeutic GOLD 525XLR is large that can fit all size of users. 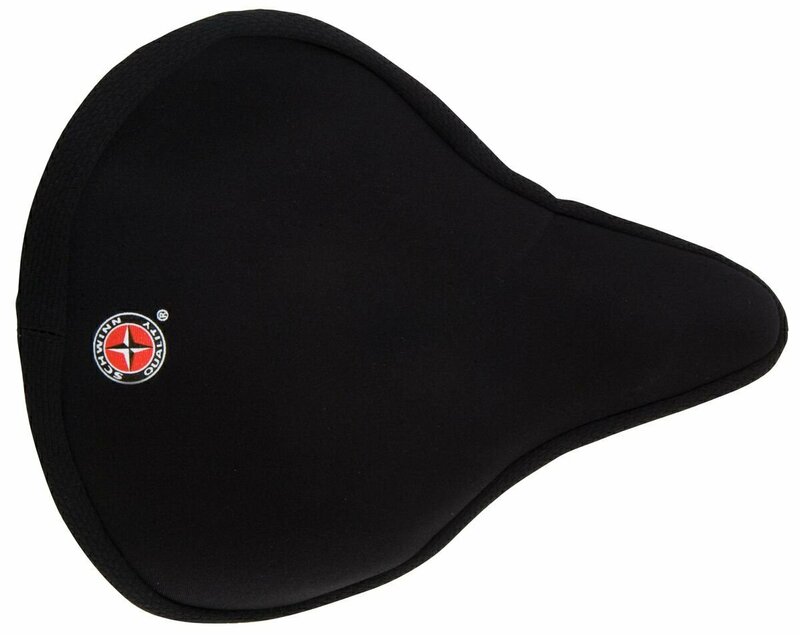 However, the surface of seat bottom is flat, the seat pad is thin and there is no shock absorption system. All make the seat is not comfortable and can lead to a painful tailbone. So, place a towel or a pillow on it, or use an additional gel seat cover for more comfortable feeling. The seat is adjustable. When users first assemble the bike, there are two sets of holes to install the seat. One is more backward for taller (5’7″-6’3″) and one is more forward for shorter (5’2″- 5’6″). And you can adjust the seat in the height easily by a pull-out knob. There are 5 settings to fit your height from 5’2″ to 6’3″. There is a big backrest to support your back. Since the backrest is large, it can support almost your back, providing you with the most comfortable feeling. However, it might interfere the air circulation that can make you feel humid when your back sweats. Also, it has 3 options when being installed. You can have a backrest that near at the seat or a backrest that far from the seat a bit. The handlebars at the seat give your hand something to hold, securing your body, and lowering the pressure on your shoulder and back when you are riding. Two hand pulse sensors are integrated on the handlebars. So you can monitor your heart rate for maintaining target heart rate. This is an important function because heart rate status presents your health and fitness status. 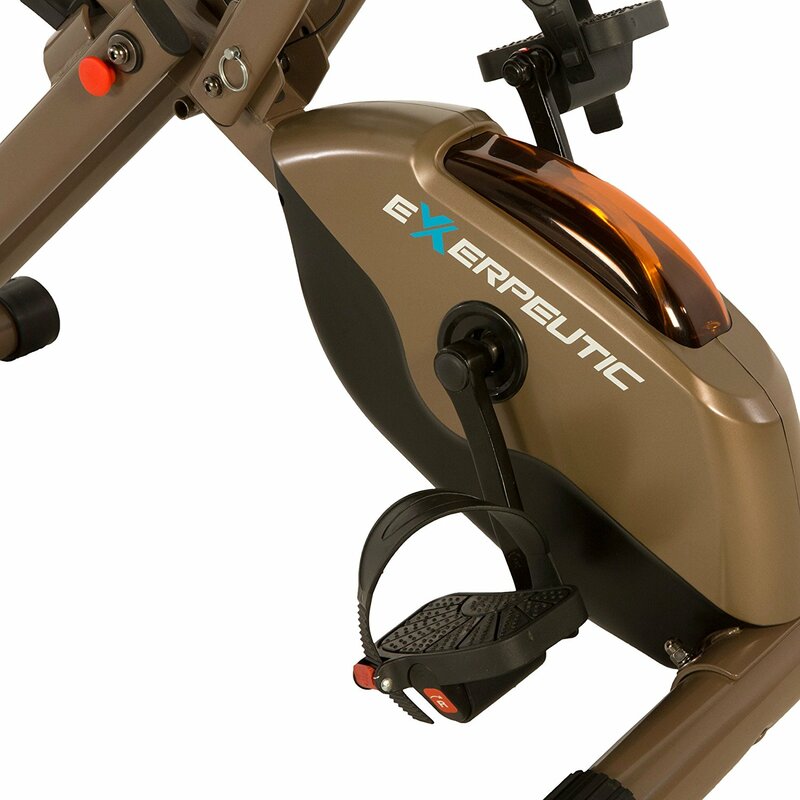 Exerpeutic GOLD 525XLR has two pedals in front of you that a little downwards. These pedals are down at 15 degrees in comparison to a traditional recumbent bike. The pedal surfaces are non-slip textured in order to remain grip. And there are adjustable foot straps for ultimate control. The pedals are counterweighted so that they are always upright and ready for use to use. And also it’ll support your ankles that your ankles don’t need always create a force to hold the pedals. You will pedal smoothly. In front of you, there is a small LCD display equipped for you to track your workout progress. 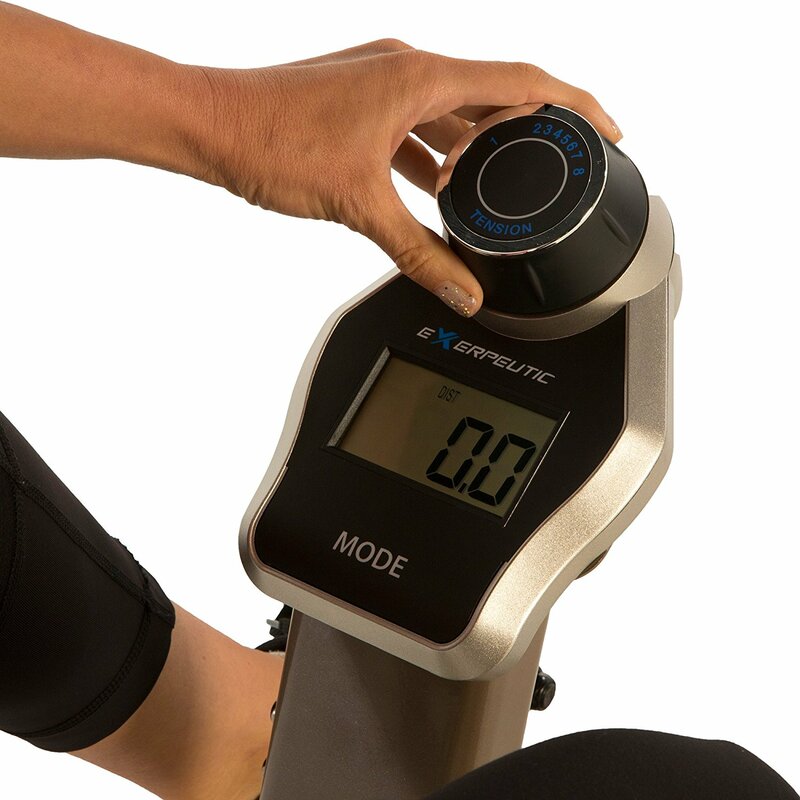 It displays distance, calories burned, time, speed, pulse, odometer and scan. Monitoring these index numbers will give you the understanding of your current health and stamina status, and motive you to achieve your fitness goals. That’s all about the design. Overall, the build of Exerpeutic GOLD 525XLR is nice. Let’s find out whether the bike provides you with good pedalling feeling in the following section. – Exerpeutic GOLD 525XLR is made for the heavyweight. And the simple operation that keeps you focusing on pedalling and achieve your fitness goals. – Magnetic resistance mechanism and strong build give you smooth, stable and quiet pedalling no matter how fast you are. – The bike is easy on your knees and back. – No noise, and easy to remove dust. When sitting on the seat, you will lean your back on the backrest, straighten your legs to reach the forward pedals and hold the handlebars to lift your body up. This is a relaxing posture, that will lower the stress on your knees, ankles, and the large backrest will support your spine and shoulder. So the bike is easy for all kinds of users and is perfect for rehabilitation therapy treatment and cardiovascular health. The low design of the pedals also makes the bike easier than a normal recumbent bike. In contrast, you won’t be able to practice hard. The bike is sturdy and heavy-duty so that heavyweights can use this bike without any problems. Exerpeutic GOLD 525XLR a flywheel with a magnetic resistance mechanism to create momentum and resistance. This advanced technology will provide you with a quiet and smooth operation. In your first rotations, it’s quite hard, but after, it will get smoother and easier that makes the pedalling so interesting. The components of a Magnetic resistance mechanism also have a longer life than other kinds of resistance mechanisms. You don’t have to be worried about replacing them. 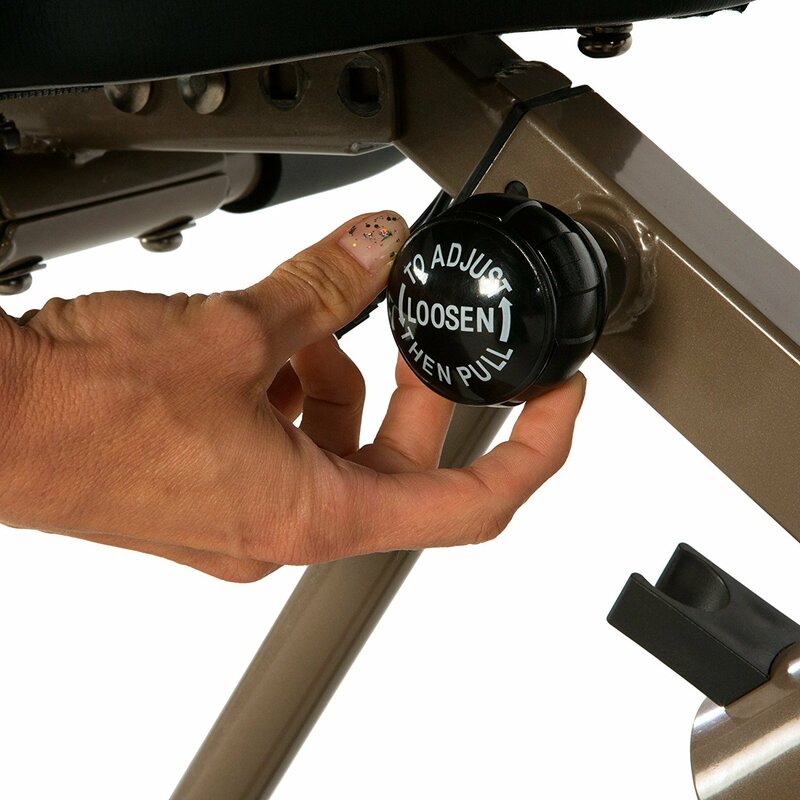 There are 8 levels of tension resistance, so you can turn the knob on the display to increase or decrease the tension. At the easiest level, the bike is suitable for injured people to practice rehabilitation. At medium levels, the bike is good for general fitness and health. And at the hardest level, you can practice harder to enhance your strength and stamina. The solid frame and sturdy design give you a firm feeling during your workouts. The pedals’ 3-piece crank system operation is rhythmic and supports your ankles. You are assured of a well full-body support so that you won’t have any injuries using this bike. 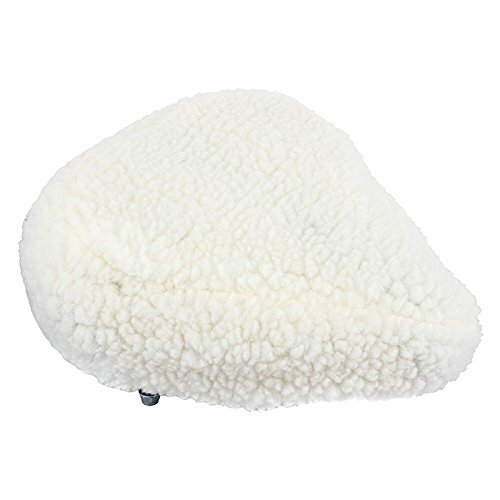 Heat: The backrest is large and not vented, which reduce air circulation. So after long hours of workout, you might feel humid and uncomfortable as your back will sweat profusely. After the workout, you can easily fold it up and wheel it to where you want to store it. It will save a lot of space for you. Exerpeutic GOLD 525XLR has a good price for such a good quality bike like this. Exerpeutic GOLD 525XLR is under the warranty program of Paradigm Health and Wellness Inc: 1 years for structural frame and 90 days for all other components (including computer display, electronics, upholstery, foam, ball bearings, pulleys, belts, cables, wires, shocks, covers, tension, internal mechanism, wheels, pedals, knobs, accessories and hardware). The warranty does not include any damage caused by improper operation, misuse or commercial application, and does not offer to the transferred owners. In warranty protected time, any defects will be fixed or replaced free, however, the proof of purchase will be required. Exerpeutic GOLD 525XLR has a high product’s star ratings which I think the bike deserves. – What’s the difference between the 525XLR and the 500 XLS? 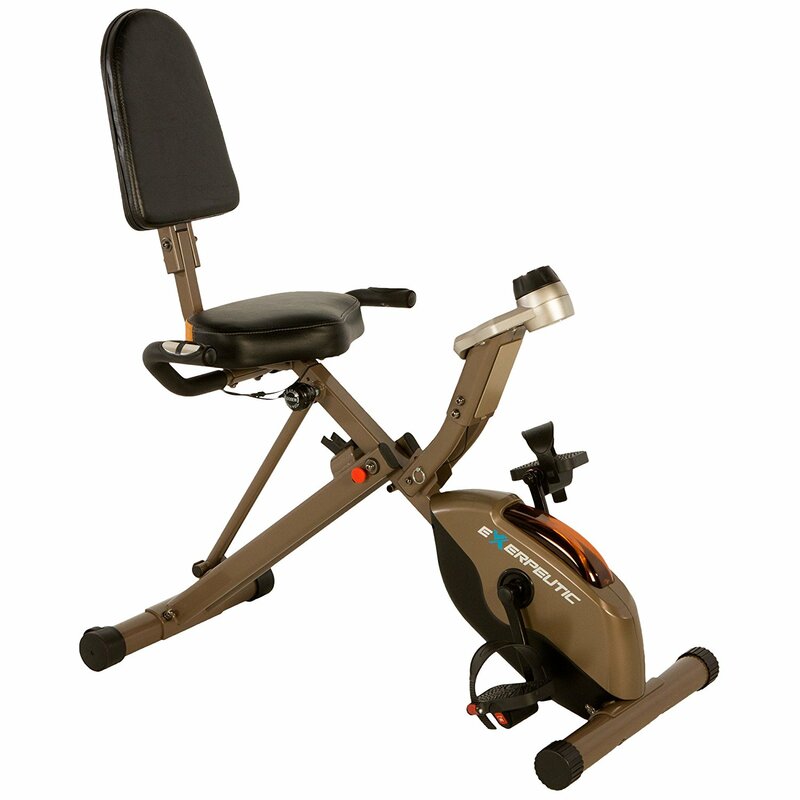 Exerpeutic GOLD 525XLR is a recumbent bike, while the 500 XLS is an upright bike. The differences are the handlebars, the backrest and the height of the seat. 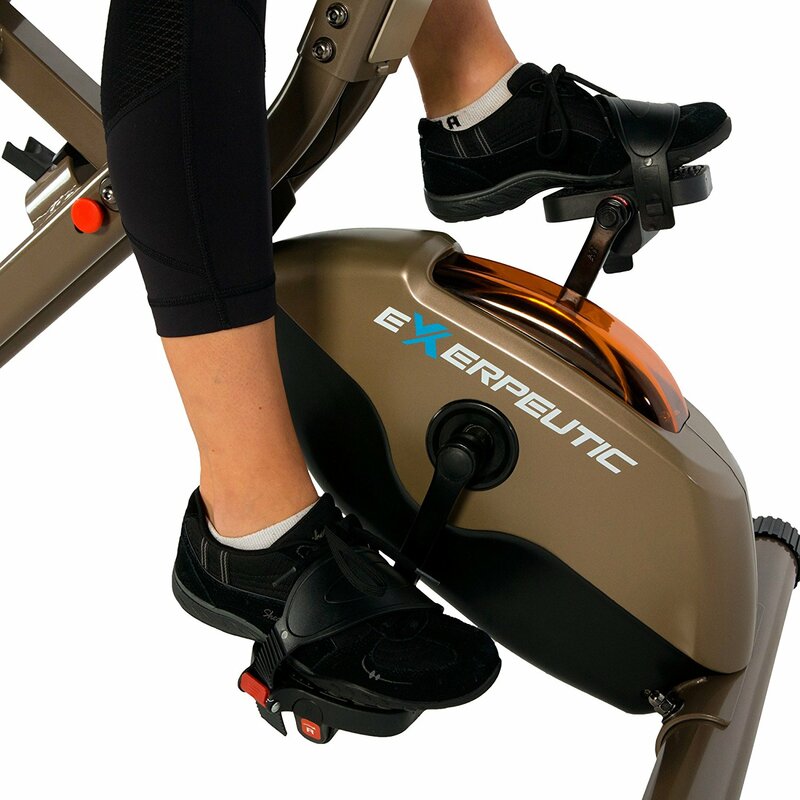 Overall, Exerpeutic GOLD 525XLR will provide you with more comfort but less intense workouts. – Can I pedal backwards? You can, but I don’t recommend you doing that since in the manual states that “This machine is not intended to be pedalled in reverse.”. – I’m 5’3″ – would this bike work for me? Yes. The bike supports 5’2″ to 6’5″ users. And even some below 5’2″ can use this bike. There are some negative comments. Most complained that the seat was too hard and gave them a painful bottom – most of them need to buy an additional seat cover or place a pillow on the seat. Some said that after a short time of use, the bike showed some problems, such as the speedometer stopped working completely after a month of use, the bike started to make noise after a week of use, and some other malfunctions. However, these issues can be solved easily by detecting soon – within warranty time – and requiring a replacement. Despite some troubles, overall, this is still a good recumbent exercise bike at about $200. If you want to purchase a more expensive bike that comes along with a high quality – Check out my recommendations below. 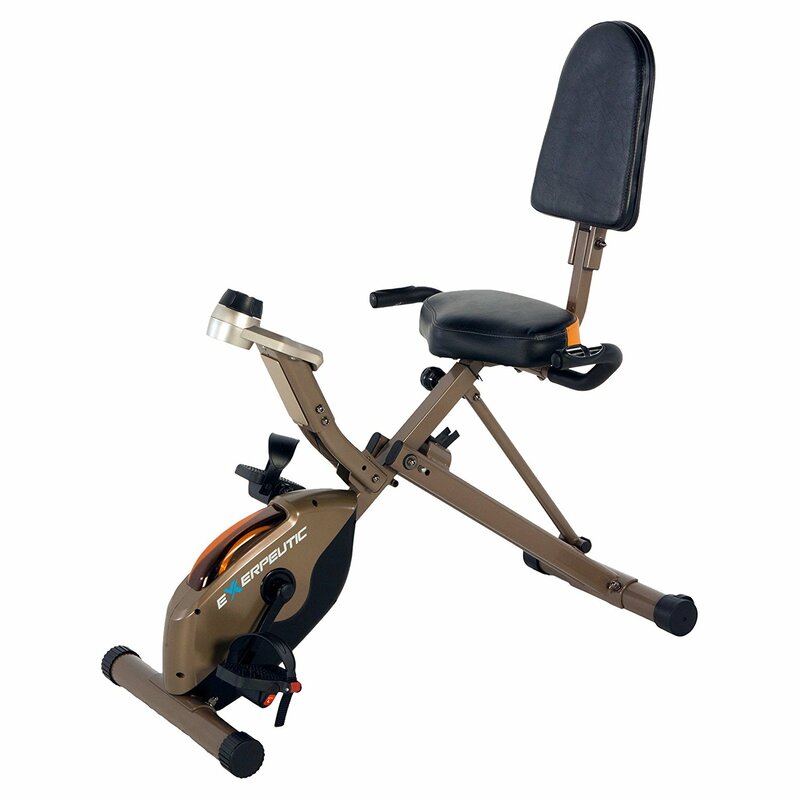 Exerpeutic GOLD 525XLR is a good recumbent bike for heavyweights with an affordable price. It’s sturdy, smooth and silent, as well as space-saving. It will be a great appliance for you to maintain a healthy lifestyle.